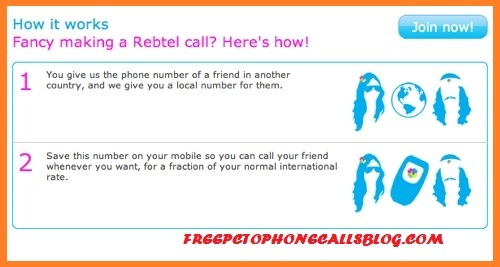 Cheap Phone Calls to Nigeria offered by Rebtel : Rates Comparison | Free Pc to Phone Calls, Free Voip Calls to India International ! If you have to make international calls to African destinations then its quite a pain as far as calling rates are concerned. I have checked my local telecom provider international rates to African countries (and to my surprise, these were way too high : more than Rs 100 per minute). Thanks to voip and the calling cards, the burdened is reduced a bit and the call rates come down. Still many of the voip providers and calling card companies charge quite high for countries like Nigeria. We thought to explore a bit more to find a good calling option for Nigeria. Finally found that with Rebtel, you won't have to pay much. Rebtel has always been hot favorites among voip users and bloggers. In the past, Rebtel has brought many working codes like offering cheap calls to India, free calls to Philippines, Dominican Republic etc. Some of its past promotions have been quite a big hit on this blog. So today we will be discussing how it is useful for making calls to Nigeria. Infact it currently offers lowest calling rates to Nigeria. And it has further slashed its calling rates to Nigeria to half. Nigerians living abroad can call their loved ones at home for just 6.9 cents per minute. Calling rates offered by Rebtel to other African destinations. Now apart from the 50% reduction in calling rate, Rebtel is also offering another nice offer. So you have any queries about Rebtel or its offers just leave a message, I will be most happy to answer them all.